"The most important thing to remember is that the mod you're making isn't the final version. I've been on teams where the mod had been worked on for years because everyone is trying to get everything perfect ..."
Interview by Flinn Hello there uanime5 and thanks for having accepted to give us this interview! I'm pretty certain that a lot of TWC members will enjoy reading it as they enjoy your mods, but to my utter shame I have to admit that outside of the Modding Awards I did not have the chance to meet you, so I hope you won't mind if I ask you to introduce yourself to us and to tell us a bit about how you ended up here at TWC! I'm uanime5 and I've been here on TWC since the days of Medieval 2 Total War (M2TW). Initially I was here for the mods that would make M2TW more challenging but I got annoyed that in order to make things historically accurate most technologies were era specific and as a result for most of my games I was only able to use the basic units. So I decided to make a mod that started later so that I would have access to more technologies. Later I decided to make this into several mods which would each start in different time periods (970, 1080 (vanilla start date), 1200, 1300, 1400, 1500). In order to accurately represent things during this time period I had to research which factions were the dominant ones and where they controlled. So I started doing historical research and learning how to alter the map so I would be better able to represent the various factions through this time period. 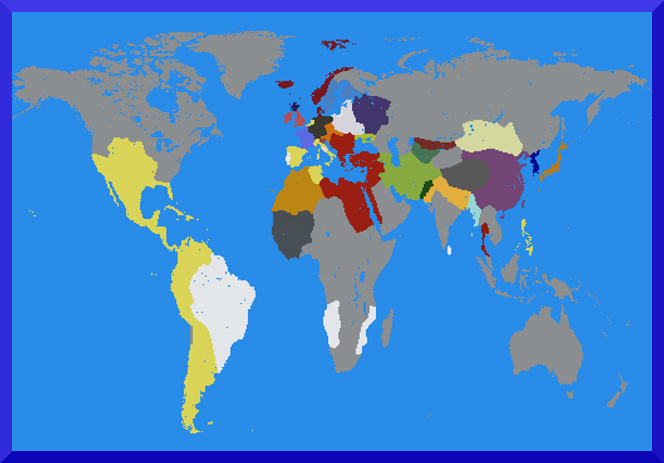 Once I finished the 1500 version I decided that I wanted to make a mod that would cover more of the world as I was representing some powerful factions that were east of Europe with only a single region because most of their regions were not on the map (such as the the Mongols and Timurids). So I then made the Crusade (1220), Renaissance (1347), and New Age (1453) maps. Having gained much more modding experience from this I decided to make my Empires (1547) map which covered the whole world. As I worked on this map and obtained more units for eastern European factions I decided to make two more time periods that would cover Afro-Eurasia (1230, 1326) to fully represent the Mongol conquests. I also helped with the coding of the M2TW mod Dominion of the Sword. After I had pretty much finished modding M2TW after making Eras Total Conquest (other than some patches for bugs) I turned to a new game Empires Total War (ETW). As I had a lot of mapping experience from working on M2TW I decided to help the efforts to modify the ETW map. However after years of research and testing I was only able to add another farm to a Cherokee region. Though I did help the ETW mod Colonialism 1600 AD by making many of their units. I didn't do much modding for Napoleon Total War (NTW) as I was more focused on ETW mapping. 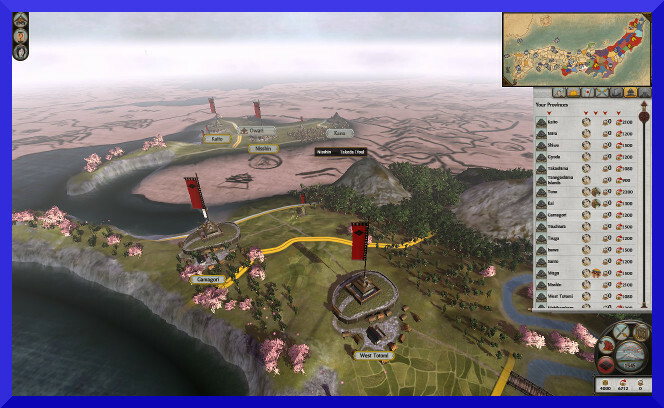 When the modding tools for Total War Shogun 2 (TWS2) were announced I downloaded them so that I could determine if they could be used to make a new map. The main reason for this was that ETW and TWS2 were very similar so something that worked in TWS2 would also work in ETW. So after learning how to use the tools I moved a farm, made all the new files, and compared them to the original to see what you need to do to move something. Unfortunately as you needed to completely remake almost every entry in the pathfinding.esf file it became clear that it would not be possible to mod the ETW map without the official tools. As a result I gave up on trying to mod ETW and focused on modding TWS2. You are known to be a very well respected modder of Shogun 2 (having been awarded three times as Shogun 2's Most Popular Modder and once as a first runner up in the same category in the last 4 editions of the Modding Awards), therefore the question is due: why this particular game? Is there any specific reason other than the personal tastes? 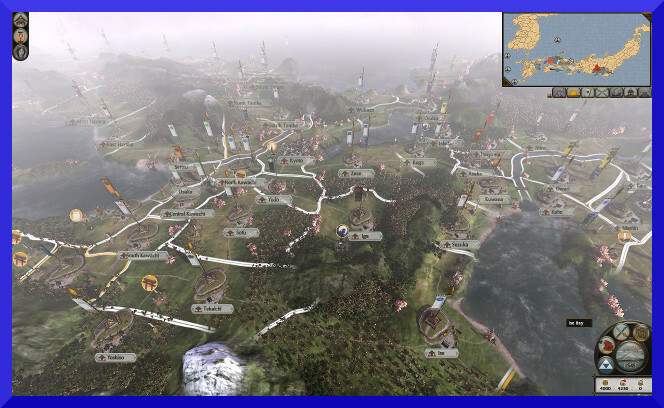 I chose Shogun 2 because the official tools allowed the modders to do far more with this mod than previous games. 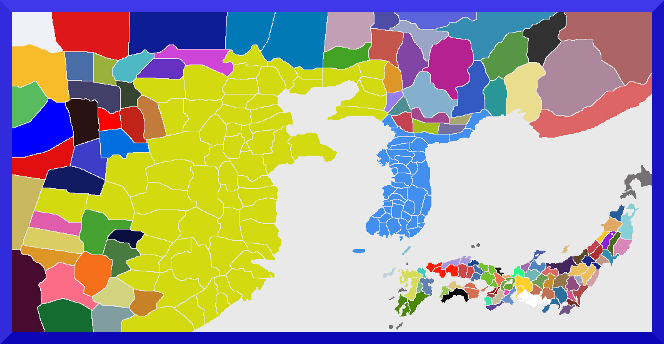 As a result I first tried to add as many regions to the vanilla campaign (Expanded Japan), then added Korea (Morning Sun 1.0), the finally moved the map and added China (Morning Sun 2.0). 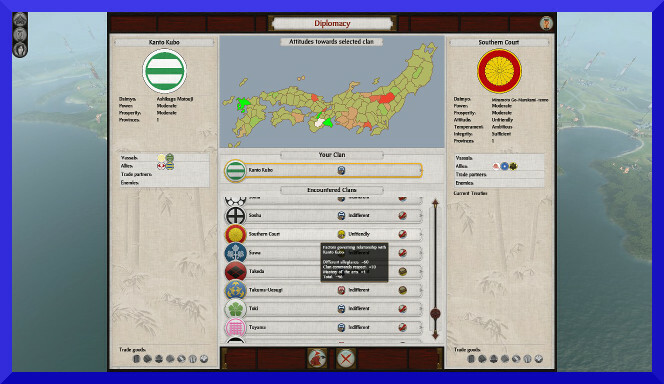 I also made the mod 1351 Nanboku-cho period for RotS as Stincky (my main researcher) was interested in this time period. I see. Is there any particular character or happening of the period or in general of the Japanese history that you like or has inspired you? Not really. It was more due to my inability to mod the ETW map and TWS2 being the first mod that had the tools to let me do this. So I suppose if NTW or Rome 2 had been the game with these tools I would have modded them instead. Though I would like to point out that while making the M2TW Eras Total Conquest campaigns that covered east Asia I was in contacted with a researcher from Thailand who provided me with a lot of information on China and south east Asia. 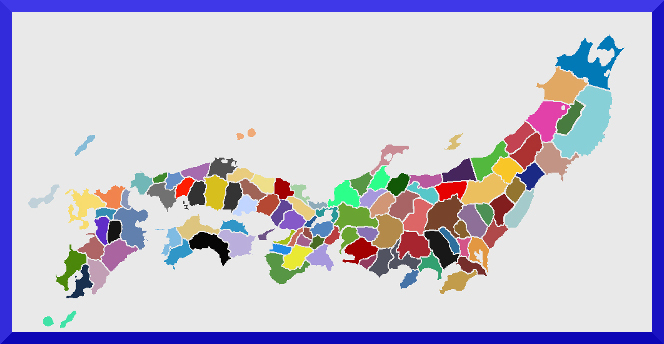 Unfortunately due to the region and faction limit I wasn't able to incorporate many of the east Asian factions into that mod. However since TWS2 has fewer limits I was able to include many of these factions in the custom battles, which is why these factions are available even though they don't appear on the map. Any other historical period that you are fond of then? Any famous character or battle? Not really. I'm more interested in learning about history than specific time periods. Backing to Shogun, would you mind giving us an insight of your main modding projects? In which way it is different from other mods and how it improves the vanilla game? The main way my mods are different from other mods is that it has more regions. Though the tools to add more regions is available to everyone I seem to be one of the few modders who was willing to use this feature. As a result I ended up writing almost all of the guides explaining how to add new regions and factions. Morning Sun is 2.0 and all sequels are also different because the map is much bigger than the vanilla version and covers more cultures (Chinese, Korean, Mongolian, Tibetan, Jurchen, and Tusi). 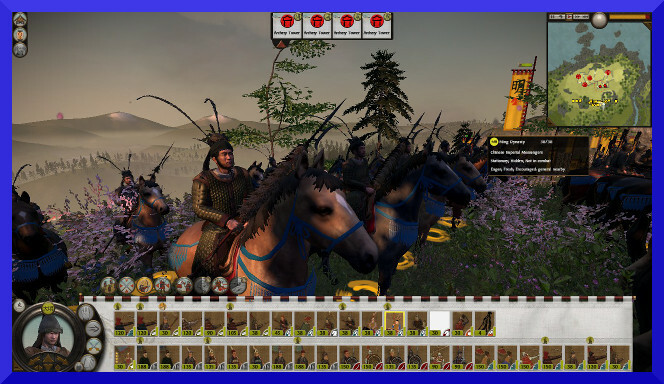 So this mod is more of an East Asia Total war than a Shogun Total War. Any other project related to Shogun that you are particularly fond of or that had a special success amongst your fans? I see an Opifex from 2010 which is pretty much antecedent compared to the Moddig Awards victories.. what's the story behind it? The story is that I was emailed by a mod who said they'd nominate me for this award. Until they contacted me I didn't even know it existed. I then got this award. Ah, well you are not the first one who told me this story... the important anyways is that the deserving ones got their awards, no? Now tell me, while scrolling your posts and profile page I noticed that you have been involved in many different projects in the past years and not just related to Shogun 2. Anything particular you want to tell us about? And how many different TW games have you modded so far? Since I've got experience making mods people often approach me about working on their mods. For example since I made the M2TW mod Eras Total Conquest I was asked to do some coding for the M2TW mods Dominion of the Sword and All under the Heavens; and the RTW mod Rome Total Realism (while I haven't modded RTW the code for the two games is very similar). I was also asked to help with making units for Colonialism 1600 AD since I made units for M2TW and the process was similar for ETW. Finally as I made a map for TWS2 I was approached about making a map for another TWS2 mod. I have modded RTW, M2TW, ETW, and TWS2. I was asked about maps for R2TW but they're very different from TWS2 and the official tools don't seem to let you make new maps. In terms of tools/tutorials, is there anything in particular you want to make the readers aware about? Anything special? I usually only write tutorials if there isn't a tutorial and I have enough knowledge to create one. 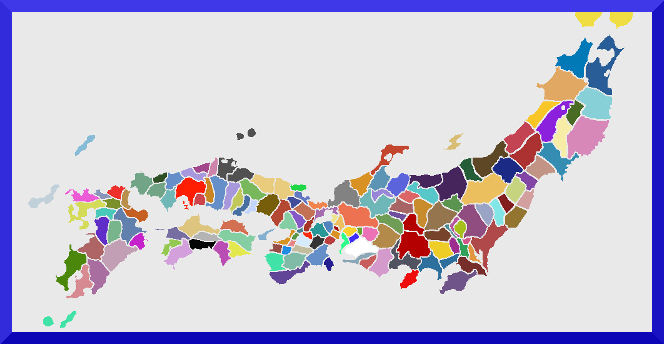 As a result I made tutorials for adding factions, regions, and land masses in TWS2. These proved useful when after a long break I needed to remind myself how to do something. What's the plan for the future then? Any new project your are working at or any new idea? I'm currently making a map for a TWS2 project, and am coding the buildings and units for Rome Total Realism. Though I would like to make a map that covers all of south east Asia I don't think I'd have the time to do this. With all the projects you took part in and the mods you worked at I'm sure you had the chance to meet many great modders. Anyone in particular you want to remember or to thank? I'd like to thank all my researchers who helped me made my mods more accurate and all the people on the forums who helped me with the technical problems I was having. People who reported bugs also helped me, even if it took several posts to get information beyond that the mod had crashed. The "million-dollar question" then: what's the secret of being a successful modder? What's a must have in terms of skills? The most important thing to remember is that the mod you're making isn't the final version. I've been on teams where the mod had been worked on for years because everyone is trying to get everything perfect but nothing ever gets released because most people leave the team because there's nothing for them to do or they no longer have the time to work on this mod. So I would recommend modders should plan to make a basic first version, then make it more accurate in subsequent version. An example of when I did this was when I first released the 1547 campaign for Eras Total Conquest where all the Chinese units looks like Mongols because these were the only models I had. As a result of this I was informed of a mod that had Ming Chinese soldiers and after being given permission to use this mod the Chinese units were more accurate in the next version. Good suggestions! Now, what's your hope for the future of TW Games? Any expectation for the new Historical title or any plan to mod other newer titles such as WarHammer? Furthermore, in your opinion what's that you guys are missing more in terms of tools and what would you like CA to supply you at this regard? At present I've been to busy modding to play the latest games and since I haven't tried modding them I'm not exactly sure what the tools can do. I would recommend having the following tools in every games. A) A tool that lets you edit the DB tables. B) A tool that lets you edit the map. C) A tool that tells you why your mod has crashed (the error log in M2TW was invaluable when bug fixing). Regarding new titles I suspect that we'll soon get M3TW, which with all the new improvements in regions and an increased number of factions would be quite interesting. An E2TW would also be good, especially if it came with a map editor as I could make another world map mod without the faction limit of M2TW. Well uanime5, it has been a pleasure to meet you and to have this opportunity to chat and to learn about you! I hope to see you around TWc again and I'm certain that we will meet again at the time of the next Modding Awards! Ad Maiora!! Ah yes: 'let's just fix this little issue before releasing' - it's proven detrimental on the odd occasion. Great interview with a deserving modder. Thanks, Flinn and uanime5; there is good advice for modders here and it's interesting to hear about the experience of modding the campaign map. The Morning Sun mod sounds very impressive. That Medieval mod of his is what brought me to TWC Forum manny years ago! Great insights. Thanks for the read, fellas.